Chest Press exercise is ideal for training upper body muscles, especially chest muscles. This unit has range limiters and isometric strength testing possibility. Neck cushion is a comfortable and ergonomic cushion for additional support. Isometric measurements like maximum strength and muscular balance can be measured using a separate Performance Recorder -device, if the machine is equipped with a sensor attachment. Range limiters can be used to limit the range of motion. This feature is particularly relevant in rehabilitation applications or if user has a long-term impairment. Both horizontal and vertical grips are possible. 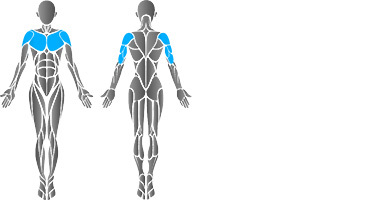 This feature allows to perform exercises using different grip positions. Adjustable seat height. Steplessly adjustable seats help the user find a correct, safe and effective training position. Seat height is adjusted electrically by touch screen. Electrically adjustable seat helps finding a correct, safe and effective training position. Only available for HUR SmartTouch Hi5 machines. Foot rest assists in stabilization during the exercise, especially for short users. Equipment can be fixed to the floor. Seat cushion helps adjusting training position for different size of users.